My last post was about adding comment form below Blogger posts . These comment form are seo friendly , but doesn’t have other options like comment backup ,Gravtar support etc .There are alternate services offering well featured comment form systems for Blogger . 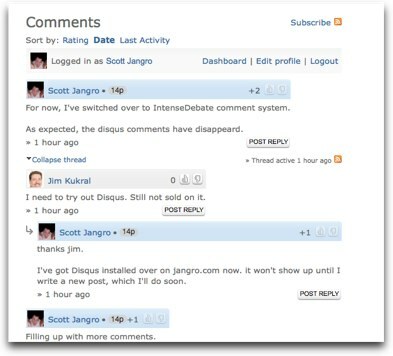 DISQUS is an alternate comment and discussion system for WordPress , Blogger ,Typepad and other related services .Look at the following screenshot .It looks really professional than default Blogger comment system. Join DISQUS here . After registration they will ask you to upload your Blogger template. upload and then download the DISQUSed Blogger template . 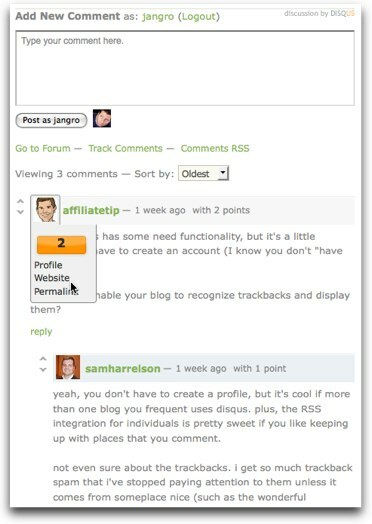 After installation , your comments would appear as shown above .You can manage and moderate,backup your comments in DISQUS control panel .DISQUS also supports a universal avatar that can be set from control panel . 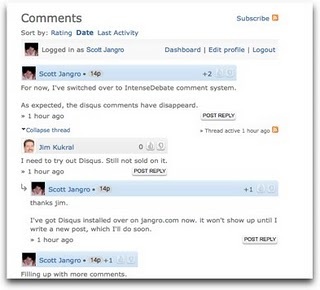 Intensedebate is another alternate Blogger comment system similar to DISQUS , but better than them in features . Intensedebate is an Automattic(Those guys behind WordPress) joint venture . So this comment system includes many WordPress features like Gravatar and Akismet spam protection . Intensedebate installation is almost similar to DISQUS. upload the template and then download the widgetized version . Join Intensedebate here .You can enable Akismet and Gravatar from Intensedebate control panel . They also support export ,import and backup of Blogger comments . Comment moderation is possible and you can even replay to comments by email . Other features of Intensedebate comment system . Comment Threading : Replay to individual comments. Comment blacklisting : You can automatically delete comments containing certain phrases(you can set them) . Comments can be integrated to Twitter. 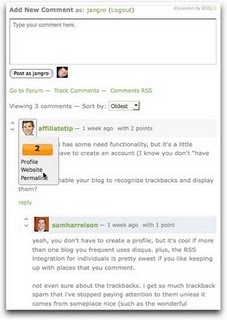 Reputation and point system like that in Digg , Mixx etc . Your site helps me to improove more..
both of these comments system are awesome but intensedebate once made my blogger full with errors like can’t locate the intense debate accoutn and blog was not opening at that time so beware.